This toe-tapping text will have you singing along with the lovable creatures of the desert in no time! 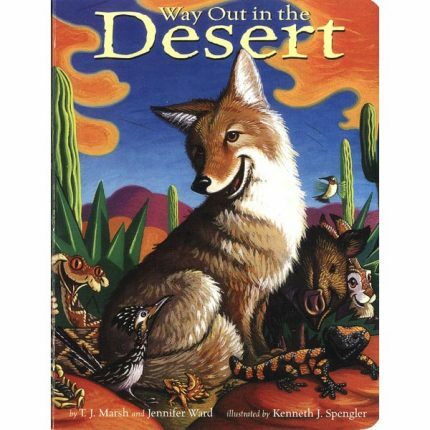 Filled with vibrant illustrations of many of the charming plants and animals that call the Sonoran Desert home, Way Out in the Desert is a wonderful teaching tool that takes you on a trip down memory lane. If you remember singing Over in the Meadow as a child, now you can give your children their own memories of this timeless tune. A counting book in rhyme presents various desert animals and their children. Numerals are hidden in each illustration.